The Lancaster City Council met for its Regular Meeting on Wednesday, May 10, 2017, at 7:00 p.m. in the City Hall Meeting Room. The following members were present: Olson; Sebenaler, Bowlin; Nordin and Hilman. Sebenaler moved to approve the Council minutes of the April 12, 2017 regular meeting and the Special Meeting Minutes from May 3, 2017; second by Bowlin and carried. A copy of the Minutes will be posted at the Lancaster City Hall and U.S. Post Office and available upon request to the clerk. The council reviewed the May 2017 bills presented this night; any other bills that have been paid prior to this meeting to avoid late payments, receive discounts & meet payroll and all payroll expenses as approved in the 2017 Rates Fees & Appointments Schedule. Nordin moved to approve the bills, second by Bowlin and carried unanimously. An abstract of bills will be posted with the minutes and are available upon request to the clerk. Clerk reported that the League of MN Cities has a Livable City Code of Ordinances specific for cities with populations of less than 500 at a cost of $495.00. The current city ordinance code book is from 1976. The League will send a copy for the city council to review and purchase. The league also has addressed the option for cities to add certain ordinances that pertain to an individual city. Council will review the code book when it is received. 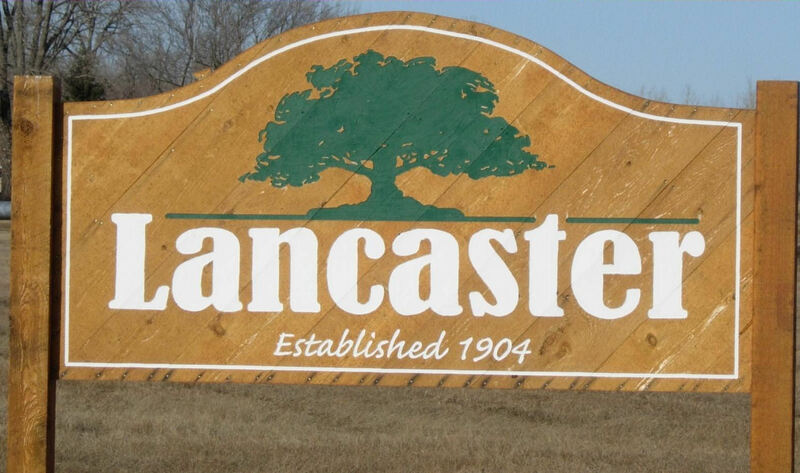 Lancaster Golf Course has asked that the city waive the annual fee of $500.00 that the city charges for payroll services; waiving of the fee for uses of deep fryer and coffee machine at the community center and that city maintenance help with some mowing. Sebenaler moved to waive the payroll services fee; any fees for use of the community center and that city maintenance will help with the mowing of the driving range only when time allows not on a regular basis, second by Nordin and carried. Council discussed adding 3 outlets at the serving counter of the Community Center. Hilman will get a quote. Sion Lutheran Church is holding a raffle with prizes to be given away at Heritage Days. The raffle prizes don’t exceed the amount required by the State Gambling Board permit requirements; but the church would like to notify the council of the raffle and have approval. Nordin moved to approve the raffle, second by Bowlin and carried. Mike Faken met with the council to request that the council abandon the alley east of his home. The alley is approximately 200 feet long (North-South) and 20 feet wide (East-West). Sebenaler stated that there are no water or sewer lines in that alley. Clerk will ask the city attorney for information regarding the process to abandon the alley. Gaye Allen met with the council as asked to negotiate a purchase price for the Centennial Hall (Old City Hall); Lots 10, 11 and 12, Block 7 of the Original Town of Lancaster. After some discussion regarding purchase price and mobile property Allen stated that she would continue to sell on consignment the items previously determined by the council for sale and asked that the other items the City and Lions had determined is theirs should be removed shortly. Allen also mentioned that included in the sale would be kitchen items and a movie projector. Nordin moved that the City of Lancaster sell Lots 10, 11 and 12, Block 7 of the Original Town of Lancaster to Gaye Allen for $9,000.00 including mobile items discussed and allow the Mayor, Michael Olson and Clerk, Carol Johnson to execute a Warranty Deed and any other necessary documents with Allen to pay all attorney fees and expenses of sale, and that the City would not provide an updated abstract, second by Sebenaler and carried unanimously. Sebenaler has met with Wikstrom Telephone Company regarding installation of internet at the city campgrounds and reports that the previously approved amount of $495.00 would not provide adequate service to the campgrounds. Wikstrom’s have updated their quote to include 2 access points at a cost of $1706. Hilman moved to accept the quote of $1706.00, second by Nordin and carried. Council discussed revised quotes for the 24’x30’ addition to the south side of the maintenance shop. Lancaster Lumber material quote is $8464.50 and the only quote received for concrete and labor to put up building was from CJ Construction of $7000.00; 2 others were asked to provide quote but none received. Bowlin moved to accept both quotes for a total of $15,464.50, second by Sebenaler-voting for Bowlin, Sebenaler and Olson. Abstaining were Nordin and Hilman. Jen Rice and Donald Burton met with the council to discuss Liquor Store matters. Olson discussed liquor awareness training and council directed Rice to continue with the training. Rice asked for a credit card for liquor store expenditures. Bowlin moved to apply for a credit card with a credit limit not to exceed $1,000.00 per month, second by Hilman and carried. Council also reviewed Council reviewed the April 2017 City and Liquor Store financial information. Mark Przekwas met with the council to discuss a possible loan from the revolving loan fund for equipment for a machine shop that he wants to setup in the new shop he built in town. The council directed Mark to go through the loan application process and then the council will review the request. Council reviewed the final floodplain ordinance as proposed. Sebenaler moved to adopt the Minnesota Floodplain Ordinance-Three District Ordinance Code Section 1002.1 of the Lancaster Ordinance Code Book, second by Bowlin and carried. Clerk will publish and post summary notification and at the time the ordinance will be in effect in Lancaster. Council discussed that at this time AgriSports, Inc is not in compliance with required documents regarding the loan it received in March 2017. Council directed that a letter should be sent regarding this matter. Fire Department requests to purchase an infrared camera and case at the cost of $1917.00. Clerk reported that the Fire Relief General Fund has made a donation of $2000.00 to the City Fire Fund to cover the cost of the infrared camera. Bowlin moved to purchase the camera and case, second by Nordin and carried.